This is a harbinger of trouble for California’s ambitious plan to broadly limit its reliance on fossil fuels. In two years, the state will initiate an “Energy Imbalance Market,” which entails buying cheap hydropower during the sunset hours of each day from the Columbia and Colorado River hydropower systems. This will be necessary because of the conversion of much California’s power grid from reliable conventional power to solar power that only generates electricity during daylight hours. If this same dam failure event occurs in the future, it could result in an energy-pricing crisis in California. Bonneville Power Administration officials withheld any comment as to the effect the emerging Wanapum Dam situation has on current power generation so as not to cause any panic in energy markets. However, the dam is continuing to generate power. The Wanapum Dam is located in central Washington along the north branch of the Columbia River, about 100 miles east of Seattle. It is owned and operated by the Grant County Public Utility District. The dam’s hydroelectric turbines produce 1,000 megawatts of electricity, enough to power about 350,000 homes. The mile-long Wanapum Dam, built in 1959, has 10 reinforced concrete spillway gates each of which are 65-feet wide, 126-feet tall and 92-feet deep. If the dam ends up breached by failure of the cracked base of the spillway gate, flooding would mainly affect rural areas and would also interrupt power generation. Grant County utility officials thus far have dumped water to lower the level by 20 feet in the reservoir behind the dam to assure that inspectors were safe when inspecting the dam. The water level is planned to be lowered an additional 14 feet on Monday, March 3. If the spillway failure results in a breach of the dam, the downstream flooding would damage farms, orchards, boat marinas and recreational fishing. The Washington State Department of Ecology shows that Wanapum Dam also supplies water for municipal and industrial uses, for agricultural irrigation and instream uses. 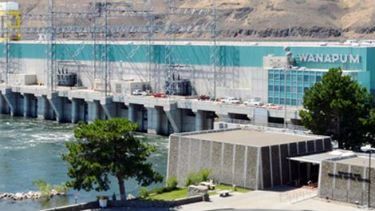 The major regional risk is that Wanapum Dam’s hydropower facilities are so large that the Grant County utility would have to start buying power to meet any contractual obligations. Pacific Gas and Electric buys power from the Grant Count utility’s Wanapum Dam. After 10 years of contentious biological opinions in federal courts, in 2008 a prominent fish spillway was added to the dam. The increased spillages resulted in less power generation and running the dam for fish flows instead of power flows, flood flows or growing crops. In 2011, the Grant County utility had to repair failed water stops that overwhelmed the power plant’s drainage system, resulting in a near-catastrophic failure of a turbine. 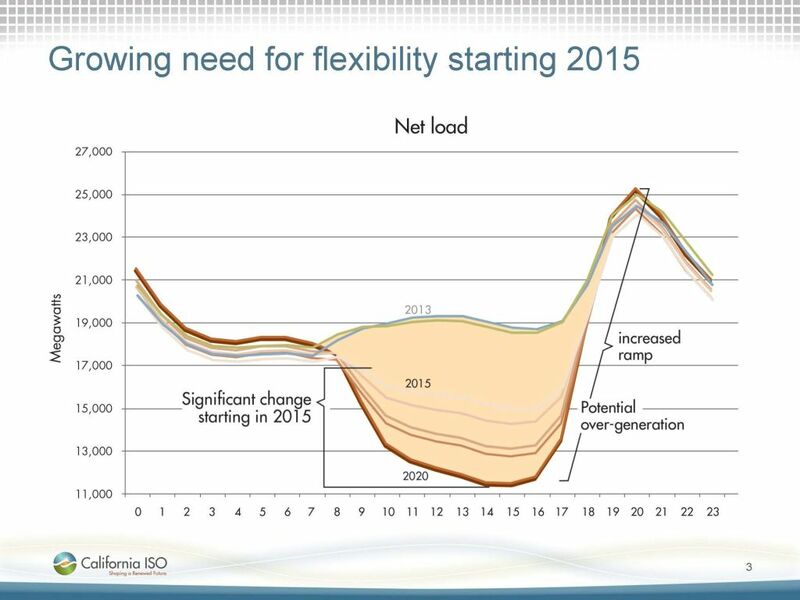 2) When the mostly nighttime wind power turbines aren’t spinning enough yet to take over. This is called the “Duckchart Problem,” as seen in the nearby chart. The ramping up of conventional gas-fired power during the sunset hours to replace solar power is expected to sharply raise electricity rates. To lessen this three-hour pricing crisis each day, California is setting up what could be termed an “Energy Imbalance Market” to buy cheap hydropower mainly from federal dams along the Columbia and Colorado Rivers. The Bonneville Power Administration’s electric grid reaches from the Columbia River to the Oregon border and into California. An evaluation of California’s proposed Energy Imbalance Market by Argonne National Laboratories addressed the risks of relying on federal hydropower due to environmental lawsuits to protect fish. Another problem is that ramping hydroelectric power turbines up and down to back up stop-and-go wind and solar power puts a strain on the hydropower plants and wears out equipment faster. Hydropower and wind power have ended up to be a “terrible fit.” About half of the wind power generated in the Pacific Northwest is purchased by California. The Argonne report, however, did not foresee risks of dam failure. The developing dam failure at Wanapum Dam on the Columbia River not only shows the future vulnerability of California’s green power grid. It may also show that such vulnerability stems from the nature of the green power grid. 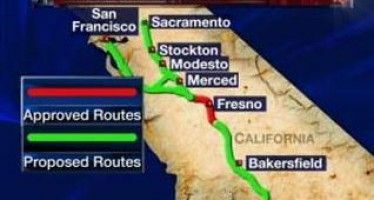 So poor old Kalifornia can’t really go green without poaching grid baseline from other states, thereby driving up the cost of power in the states in which it generated? Cry me a river…..
CDCR: No Visiting on Labor Day! How Do You Reform A Reform?